I frequently re-read books as a child, whiling away Saturday afternoons with an L.M. Montgomery paperback or feeling again the excitement of little Princess Sara as she discovers that her drafty, ratty attic has been transformed into a luxurious, cozy room by some unknown magician. Over time, certain passages became such a part of my memory that I find myself, now, interpreting the world through the lenses of books I read many times. Which is why I felt called to imagine what it would be like if Jill, Eustace, and Puddleglum, in The Silver Chair, had been bike activists, and the evil power they fought had been suburbanization. 'Yes, we jolly well do, ' said Scrubb. 'Can you tell me what it's like?' asked the Witch (thrum, thrum, thrum, went the strings). 'Yes, I see now,' said Jill in a heavy, hopeless tone. 'It must be so.' And while she said this, it seemed to her to be very good sense. Slowly and gravely the Witch repeated, 'There is no city.' And they all said nothing. She repeated, in a softer and deeper voice. 'There is no city.' After a pause, and after a struggle in their minds, all four of them said together, 'You are right. There is no city.' It was such a relief to give in and say it. 'There never was a city,' said the Witch. 'No. There never was a city,' said the Prince, and the Marsh-wiggle, and the children. I couldn't think of a concise metaphor for the Witch. 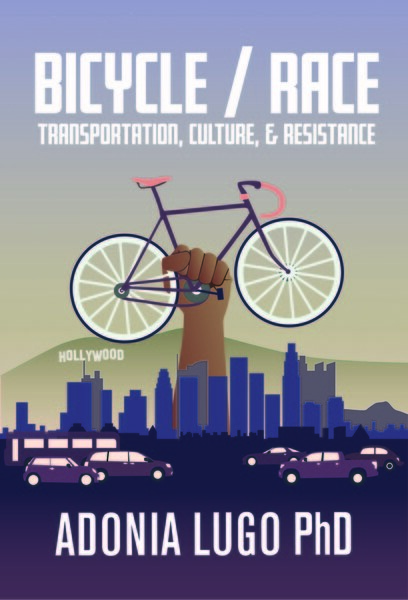 Since the beginning of the year, I've been designing and carrying out a project in Seattle that builds on the lessons I learned through researching and promoting bicycling in diverse communities in Los Angeles. 1. What people think of bicycling is shaped by their individual experiences. 2. The practice of riding a bicycle doesn't happen in a vacuum, it happens in historied urban landscapes where communities have struggled with displacement for decades. To investigate these hypotheses, I decided to ask people whose work demonstrated their commitment to community empowerment what they thought about bicycling and public space. This meant getting involved with community-based organizations that were conducting outreach in Rainier Valley, where Seattle's most ethnically diverse neighborhoods can be found and an active site of tensions over displacement and gentrification. I'm a cultural anthropologist, which means that I collect data by spending time with people, observing their normal routines, and asking them questions that probe what I consider to be significant themes in their everyday lives. There's an awareness in ethnographic research that by talking to people about their lives we are inviting them to reflect in ways that they may not normally take time to do. Our interventions in everyday reality, however small, have impacts on the spaces that we inhabit during our research. For an activist like me, this means that research overlaps, in some sense, with outreach. My method of researching and promoting bicycling has been at odds in some ways with a more conventional approach to bike advocacy, where infrastructure is seen as the solution to our transportation problems. My training in anthropology has pushed me to look for the ways that our social and cultural lives influence our transportation choices. It's pushed me to look for the human infrastructure that builds bicycling. And now, with the kind of data I've dreamed of collecting since I first started obsessing over bikes, bodies, and streets in 2008, the question has become how to make ethnographic knowledge useful. As I collected interviews, I started to imagine ways of framing the information I was gathering as a public resource. I am still not sure what the uses of this collection will be, but I went ahead and made a website where I share responses from the anonymous interviews. The website for the Seattle Bike Justice Project has demographic information about who I've interviewed, what their responses were, and suggestions about how bicycling can help build community, based on my own work as a bike justice advocate. Other anthropologists are working on the question of the uses and futures of ethnography, and I recently had the opportunity to speak with Kim Fortun, a scholar who has been at the forefront of a kind of activist anthropology that does not push for particular solutions as much as it pushes for creating spaces where new forms of knowledge about the world can emerge. I'm an intern with the journal Cultural Anthropology, and I built a webpage about Fortun's recent article, "Ethnography in Late Industrialism," which is currently available for free without journal subscription. I made a list of links for that page that highlight other experiments with ethnography that build new forms and connections. A particular complication of my work has been the ethical issue of representation, a common trope in anthropological writing. As ethnographers, we have a responsibility to represent our human subjects with respect and as much accuracy as possible. But as an activist, I promote realities that may not yet exist. If I'm committed to making bicycling more possible for communities of color and other marginalized groups, what are appropriate ways to advocate that don't objectify people of color on bikes? I've struggled with this for a long time, and I'll be writing about it more soon. The Seattle Bike Justice Project has been sponsored by Bike Works and the Bicycle Alliance of Washington.